Here are a few of the Frequently Asked Questions (or FAQs) in regards to the 4th Edition of Flames Of War. Tell me about the three new V4 rulebooks? Here is a quick summary of what you can expect from the three new books. Scroll down for a little more detail. • Same rules as the Flames Of War 1942-43 book. • Additional rules to cover situations or units that were in V3 that are handled differently by V4. • Updated V4 versions of the all the rules in the existing V3 Early and Late War books. • Updated V4 versions of the all the Warriors in the existing V3 Early and Late War books. • To be used in conjunction with the Flames Of War 1939-41 and 1944-45 book. Why is there more than one V4 rulebook? Over the past decade, we have carefully gone through Early War and Late War creating a wonderful series of books that we are immensely proud of, filled with colourful lists, histories, painting guides and photos. These two books bring all of these books up to 4th Edition in one go so you can keep playing with the figures and lists you love. These books are free (click here to find out more) and should be picked up from your local gaming store this weekend. Head along and get involved with all the V4 gaming going on this weekend. we are returning to Mid War over the next couple of years to give it the same care and attention that the Early and Late War periods have received. This rulebook is designed to work with the new books that we are releasing (such as Afrika Korps and Desert Rats) and the Unit Cards that will come out with the models as we release each book and its accompanying product releases. Are the rules in the two books different? The rules in the two books are the same. The difference is that for Mid War we have created Unit Cards that mean we do not need so many extra rules detailed in the rulebook because the card has the information you need. For example, Protected Ammo is listed on the Unit Card and shows that a vehicle has an improved Remount number. For Early and Late War there are no Unit Cards so that information is still needed. Carrying on with the Protected Ammo example, this is listed in the Rulebook under the Special Rules: Equipment section and the entry tells us that Tank Teams with Protected Ammo reduces the score required to Remount by -1. There are also some additional rules in the Early and Late War Rulebook covering V3 rules or situations that have not transitioned over to V4 – such as how to handle Priority, Limited and Sporadic Air Support. Will the rules be available on Digital? 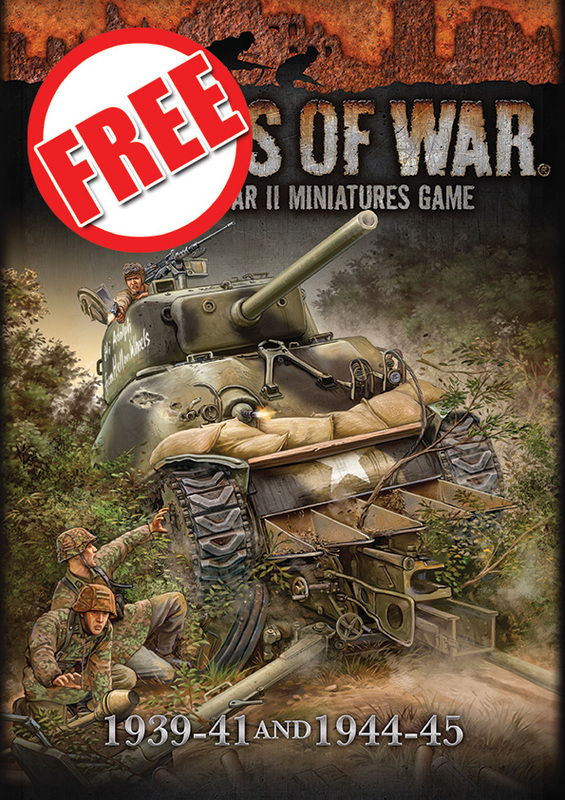 Yes, this weekend Flames Of War 1939-41 and 1944-45, and Special Rules and Warriors 1939-41 and 1944-45 will both be available for FREE in the app. 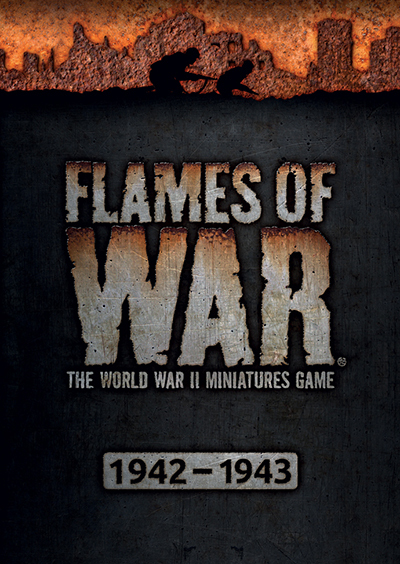 Flames Of War 1942-43, along with Desert Rats and Afrika Korps will also be available for purchase in the Digital app this weekend. Will a 4th Edition Quick Ref Sheet PDF to be posted online? 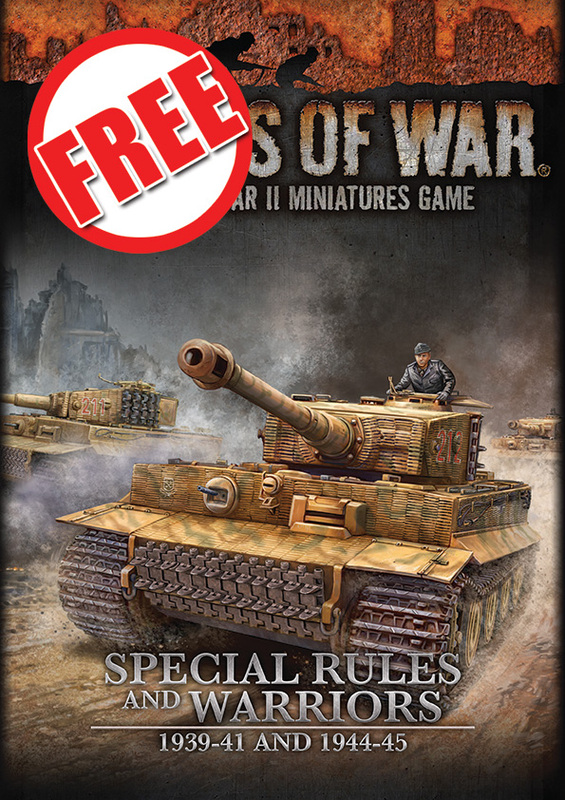 The Special Rules and Warriors book and Quick Reference Sheet will be available as a download from the Flames Of War website this weekend.